Despite some solid growth revealed during Netflix’s Q2 financials report yesterday, investors punished its stock, dropping its value by double digits over the last two days. Several analysts have expressed the concern that Netflix’s share price has reached its peak, at least for the near-term. Over to you, Insiders. 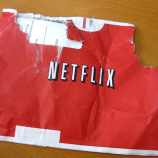 Where will Netflix’s shares go from here? Can the company beat analysts’ (and its own CEO’s) predictions and keep growing? Leave your opinion in the comments. it is obvious. with kiosks out there. the margins are shrinking! AND postage is rising! AND growth is slowing since BB has closed many stores and everryone ready has a subscription. besides the stock was way too expensive. when will you fools stop living in a glass bubble and stop complaining that the markets wont go up. buy stocks like netflix and blockbuster and coinstar! REMEMBER the DEBT that has to be unwound before the final market bottom comes. country collapses soon!! otherwise things will be rough for them. our kids are doomed! we SPENT their futures away! and if you think you are so rich, wait until the $ completely collapses and you need to pay your taxes and those energy bills! almost everyone is going to be poor!!! redbox wont even exist, people wont even spend $1 for a movie!!!!! they will need every dollar just to survive, they will even sell their flat screen tvs. yeh its coming. lets get it on! What the hell are you talking about? Our kids won’t survive? What?! You’re just a stupid troll. And your name sounds like Taylor Lautner…someone who I also hate. Guess what that means? Remember, this is the guy who is crazy about his free codes, he just made everything he said up in his head. He is obviously the cheapest person on here, as he has just complained about a 2 cent postage increase. What a loser…. No offense but you seem to be commenting on everything now. Fine with me because it’s fun watching someone else debate JS and his ridiculous lotions – I mean notions. I never really understood the lotions thing, I still don’t, can you explain? The odds are pretty good that some of the anti-redbox posters here are associated with the video buyers group. This group is supportive of independent retailers/rentailers of videos and have all the reason in the world to hate redbox and netflix. Some old posts on the site cover this topic in more depth. You can find them in a search. This guy on the site sounds a lot like JS at times. Anyway you can follow the money and see this group wouldn’t be a fan of redbox’s $1 a night pricing. JS’s #1 issue with redbox is that they don’t charge enough. Go figure. Well my main intention here was to openly prove J.S. wrong, and it seems like I have done so with ease (with help from FLON and RB thank you). He’s been real quiet as of late and that speaks for itself. I understand that real men can admit when they are wrong, but cowards pretend that everything said has a double meaning, make excuses, and lack factual support for words spoken. We all just saw which category John Small falls under. My work here is done, goodbye room, and long live Redbox!!!!! Sorry boys. Some us have fun things to do in their life. The beach was lovely this weekend. Try it some time. Between FLON & Small this site has been permanently hi-jacked. There is no reason to continue to visit anymore when every other post sprouts even more summer weeds in their personal, never-ending childish tantrum war. Michael has let this go on far too long. I suggest a site boycott until the webmaster takes some action – Flon & Small will never stop, so remove them to battle elsewhere. Let Michael know your thoughts & if he won’t fix it, then stay away for a month, close your accounts, and see if he’ll listen then. oh how i agree!!! the problem is one of these vultures is shane he just post under either RB or firstlawofnature so michael can’t just block him he pays him to put up post. doesn’t take alot of detective work. Not yourself but the other two cronies on here hail from dallas, tx and nebraska city,ne. markets are gonna dive! get out of high pe stocks now! get bb movies for free! g417a promo code! get red movies for 50 cents each … 2 for 1 deal! make new account … then online pay for 1 and get 2nd free .. all done online only. then make new account if you want 2 more! easy enough! movies just are no longer $1.00 they are … 2 for $1.00! and bb express is still free!!!! This article is somewhat confusing. According to the Redbox spokesman people who are being charged $1.25 for rentals was incorrect. Seems customers can call to get their money back if needed. Jon Engen with Video Buyers Group, a nationwide consortium of independent video stores, said he believed the “error” underscored efforts by Redbox to test prices in select markets. “I think this further proves that the price will be $1.25 across the country, and that it’s coming sooner rather then later,” Engen said. How do they get these dopes to say such things? Netflix share value is vastly overpriced at the momemnt given their growth levels. The same can be said for Coinstar. You said the same thing about netflix when it was $15. I know numbers aren’t a point of strength for you but would you mind taking me/us through the numbers you use to determine that coinstar is vastly overpriced. Growth levels do not match forward p/e levels. If you take the average estimates for earnings this year and next, the growth rate will be 55% or so. The current p/e is roughly 25x this estimates and 17x next years. Those numbers don’t seem that high relative to earnings growth rate. Over the next few years redbox will have fully depreciated kiosks that will give an added boost to net income. If streaming/downloading doesn’t own the world in a few years then coinstar will be a very rapid grower of net income. That’s not even counting a new concept in kiosks like coffee that will further add to revenues and income. Just wait and see what the real/new numbers will be. You should have sold at $60 like I told you to. I don’t think you’d recognize a ‘real’ number even if it came over and hit you on the head. I believe it’ll be higher than 60 in a few years so ‘I told you’ so is rather meaningless to me. I love to read FLON and JS battle it out. Couple of things on Coinstar and Q2. They had a $40 million dollar sale of their E-pay business which will help with Q2. Second, I agree with FLON on Movie Gallery not having a large effect this quarter. Third, the conference call will be based on three things (price increase tests, Blu-ray and games). DULUTH, Ga.–(BUSINESS WIRE)–NCR Corporation (NYSE: NCR – News) today announced Justin Hotard as vice president and general manager of NCR Entertainment replacing Alex Camara, who has left the company to pursue other opportunities. Is that the same Alex Camera who jumped ship from Redbox (Coinstar) to NCR ? Hmm, I seem to remember a certain FLON being dead certain Redbox wouldn’t have to settle with a couple of studios because they no longer needed them. Don’t worry, I’ll give you props if you ever manage to get something right. You are funny. I made a gentleman’s – don’t pat yourself on the back too hard – bet that redbox wouldn’t settle before summer. You won. Obviously both parties reached agreeable terms. 28 day delay for studios, lower costs for redbox. I’m certain of very little which makes me better at figuring things out than you are. On the other hand you are certain redbox needs to charge more. You base your entire analysis around this flawed notion. No flaw to be found. Their numbers are their actions are proof positive. Weird you don’t like low prices. Didn’t the VBG break ground by figuring out a way to lower prices for E.T. when it first came out on home video? I’m sure that must have pissed off the establishment back in the day just like redbox is now. I have nothing against low prices if they make sense within the context of cost to expense ratios. The reality is that if the DVD rental market drops to a $1.00 rental pricing, the studios will look elsewhere for income and ignore DVDs completely. Redbox is eating their own cake and will end up starving themselves with their “success”. What you see as a great business model, I see as suicidal and self-destructive. I have no doubt I will be proven correct. I do hope you manage to get out before the walls cave in though. Coinstar does not have a realistic backup plan for failing kiosk sales. What you say makes little sense. It’s not your expense structure to manage and preside over. Of course management has a better grasp on cost and pricing than you do. You are obviously hoping/prodding the new low cost provider to raise prices and therefore support the higher cost channels. I’m sure the VBG ruffled a lot of feathers back in the E.T. days. I bet the establishment at the time claimed the low prices were going to ruin the market for everyone. The reality is that it ushered in a huge wave of consumer dollars. Only now that the new player on the street threatens the pricing structure do you complain about low prices. I believe $1 will trump everything for the time being. Video stores will have to change or die. You are doing a disservice to your followers if promise them redbox will fail. It is more realistic for them to figure out how to evolve their business model to include $1 kiosk players being around the corner from their store. Heh, not sure I have any followers. Again the point is that $1.00 rentals means less revenue for Hollywood which mean they will look elsewhere for income. Redbox is signing their own death warrant by making sure that DVDs are no longer worthwhile for the studios to pursue. Sell through dollars, even if shrinking, will keep studios focused on packaged product. It’s not for redbox to determine what Hollywood makes or how it distributes it. Greater forces are at work that no single entity is responsible for. Remember the E.T. price leadership days and you’ll figure out the right answer for pricing. Besides the DVD is old technology. It should sell for less than new formats. Your abilities as a historian match your abilities as an analyst. Virtually non-existant and inexorably confused. You can believe what you wish but the truth is that $1.00 rental pricing is causing a massive shift in the studios at the moment. If you look at who is holding the power nowadays it certainly is not the packaged material folks. The shift to electronic delivery has ramped up severely since Redbox started to be noticed. Self-destruction has been the Redbox catchword for the last couple of years. They are only accelerating it through their obstinence. Like I said this is old technology. It should be priced cheaply. Home vid guys has their day. Time to move aside. In the meantime stores are closing so fast that redbox and netflix are actually extending the life of the DVD. You are in the position of saying something that exists and is loved by consumers makes no absolutely sense. Low ground arguement.